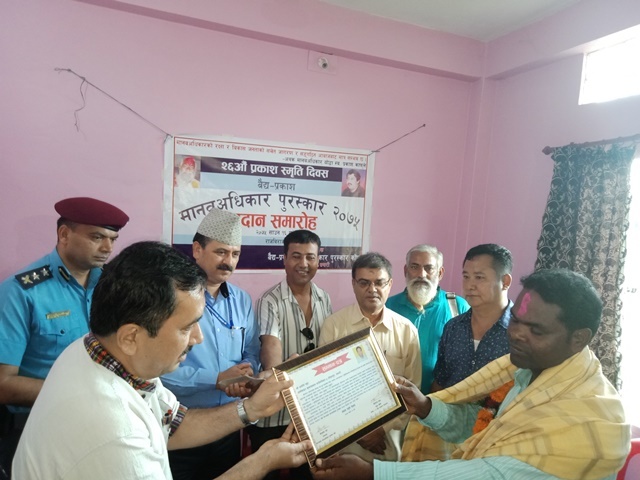 Human Rights activist Asarphi Sada of Saptari is honored with Baidhya-Prakash Human Rights award on August 1 on the occasion of 26th memorial of human rights activists and INSEC fonder Prakash Kaphle. He was honored for his continuous contribution for the rights of Dalit, landless and squatters from the last two decades. Speaking at the program INSEC Biratnagar coordinator Som Raj Thapa said that the protection and promotion of human rights is possible only if there is a coordination among activists, professionals and government bodies. 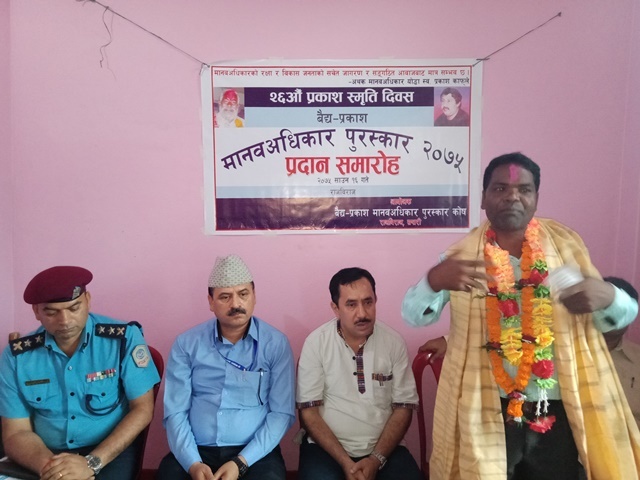 Chief District Officer Surendra Pandey of Saptari said that citizens are aware of political rights along with other rights especially after holding all three levels of local elections. He added that NGOs and government organizations must show their solidarity for the changes and for this human rights have been prioritized in the constitution. 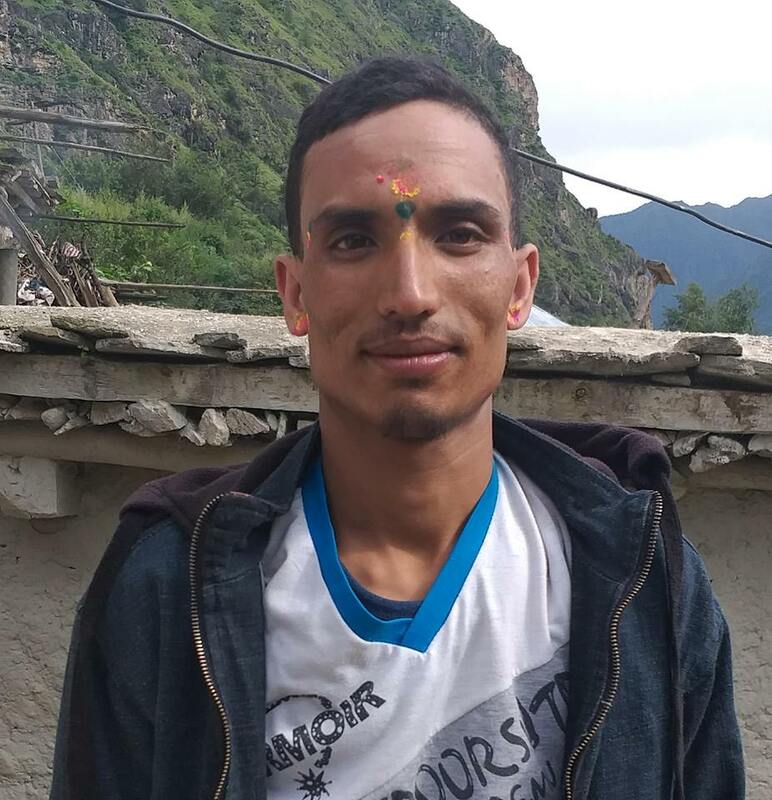 Chairperson Thansingh Bhansali of Civil society, journalist Shiva Hari Bhattarai said that the human rights situation of the country is not satisfactory. For the continuous contribution for the rights of Dalit and landless squatters Sada was honored in the program with letter of felicitation along with purse of Rs 3,100. Speaking at the program, Sada said that this honor has made him more excited and motivated to work. The participants put the garland in the picture of late Prakash Kaphle during the program and expressed their tribute. 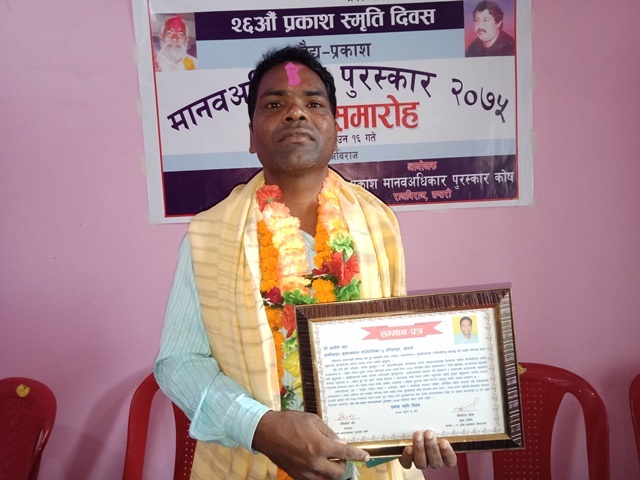 The founder of the Biadhy-Prakash Human Rights award, Mr Baidhya Nath Jha, 44 of Rajbiraj-7 was felicitated with 21st Prakash Human Rights award with a purse of s 50,000. He established Baidhya-Prakash Human Rights award with that amount.